Educators collect data to measure learner (student) progress using formative, interim, and summative assessments. Similarly, it’s important to gather data around how the school and district systems are equitably serving families and communities. 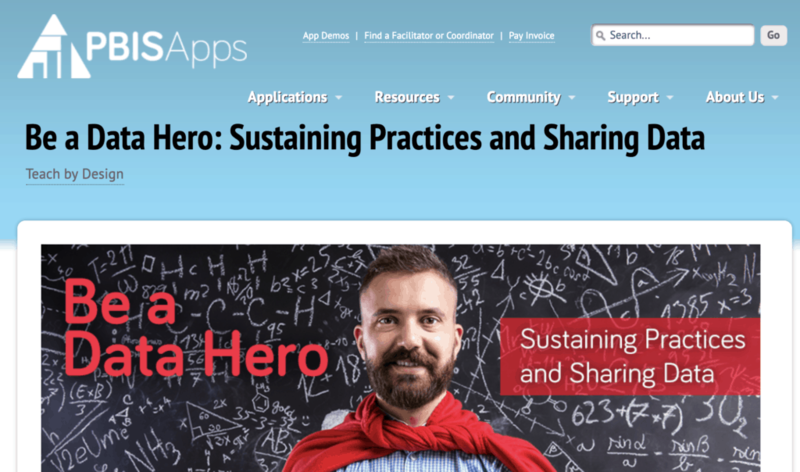 Strategic use of data goes beyond gathering and compiling data; teams use it to action plan. Educators systematically review implementation and outcome data with a growth mindset to plan next steps. 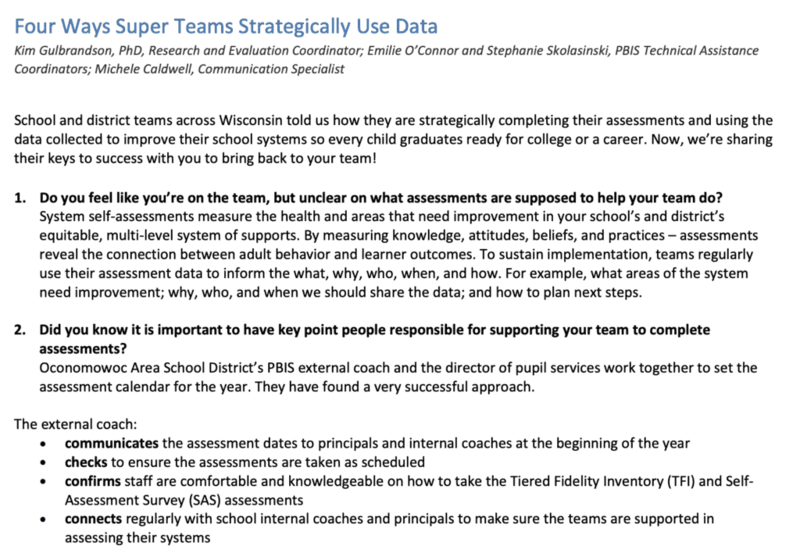 As part of a continuous improvement process, they use data to create action plans and evaluate results. 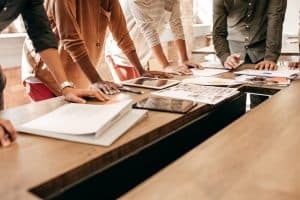 When needed, teams dig deeper and examine the root causes. 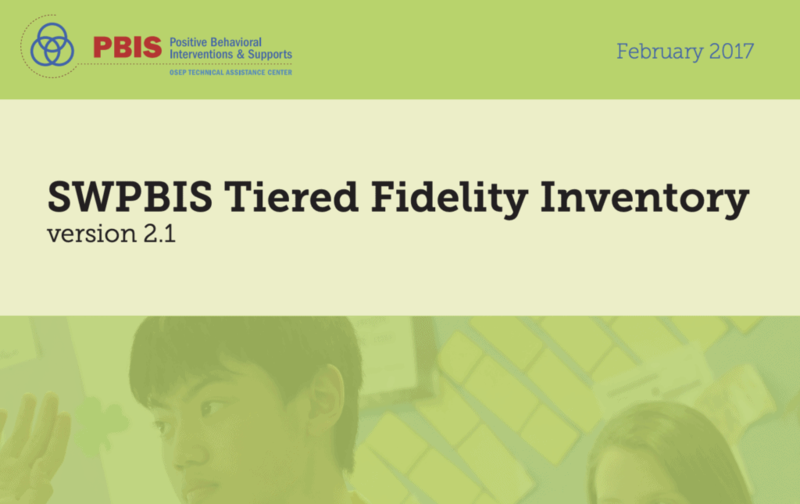 Implementation research shows that schools and districts only realize improved student outcomes when evidence-based practices are fully implemented across the system with fidelity (used as intended). System self-assessment allows schools to gauge the extent to which practices are in place and if they are being delivered with fidelity. In other words, implementation data reveals the connection between adult behavior and learner outcomes. 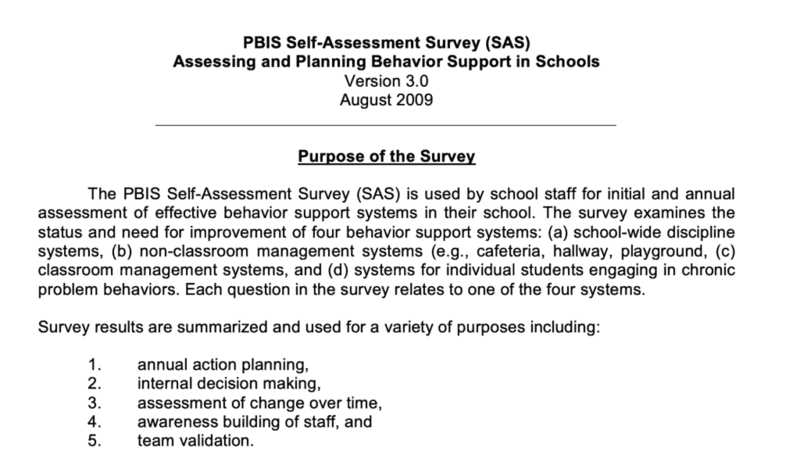 Here is an overview of system self-assessments in an equitable, multi-level system of supports. 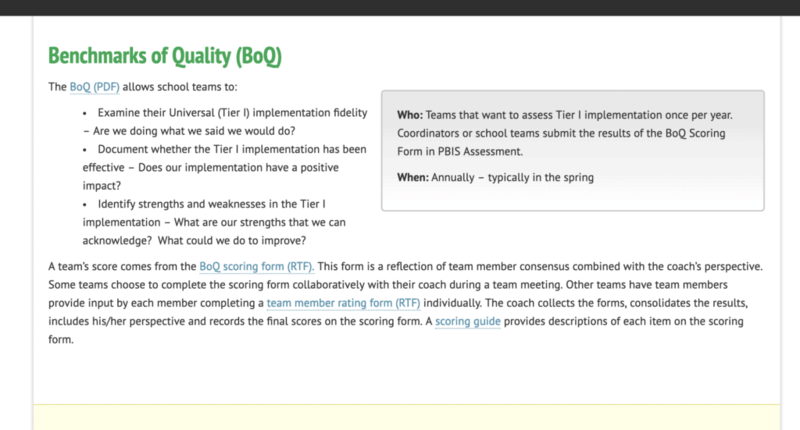 Teams use the assessment calendar to schedule when to perform their assessments. Academic assessments measure adult practices (not the students) for equitable, consistent, and effectiveness delivery of supports. 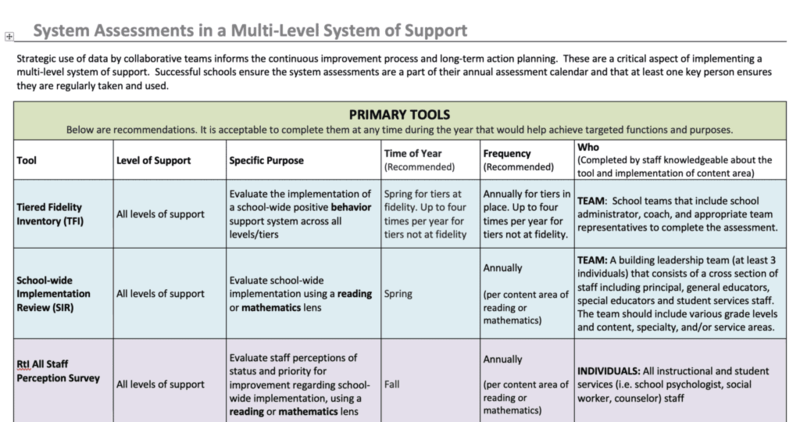 The School-wide Implementation Review (SIR) is taken through a reading or mathematics system lens and measures all levels of implementation of academic support strategies. identify who is benefiting from and whose needs are underserved by the system. Universal screening processes and data help schools proactively match supports to needs. use a problem-solving process to make universal-level adjustments. This process also helps identify learners who may benefit from support beyond the universal level. For example, some learners may need interventions to improve specific academic, behavioral, emotional, or social skills. Learners who exceeded academic benchmarks may need additional challenges to meet their learning needs. Continuous improvement is an ongoing effort to improve a framework or process. School teams use a continuous improvement problem-solving process to inform decisions and achieve equity. 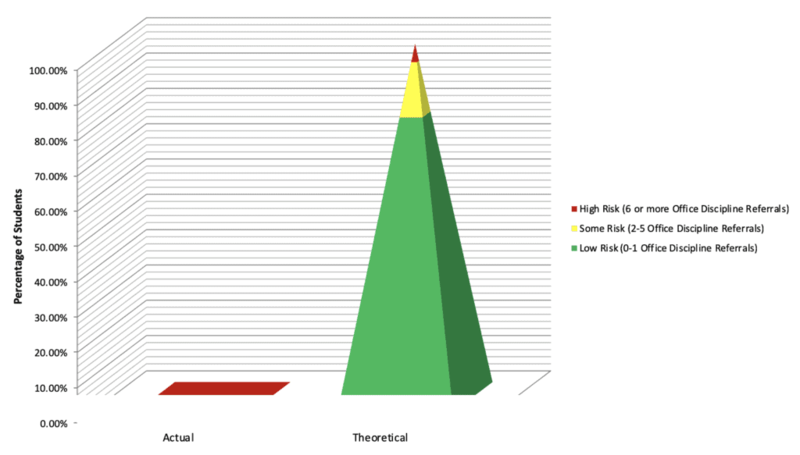 How do you know your system has strategic use of data in place? 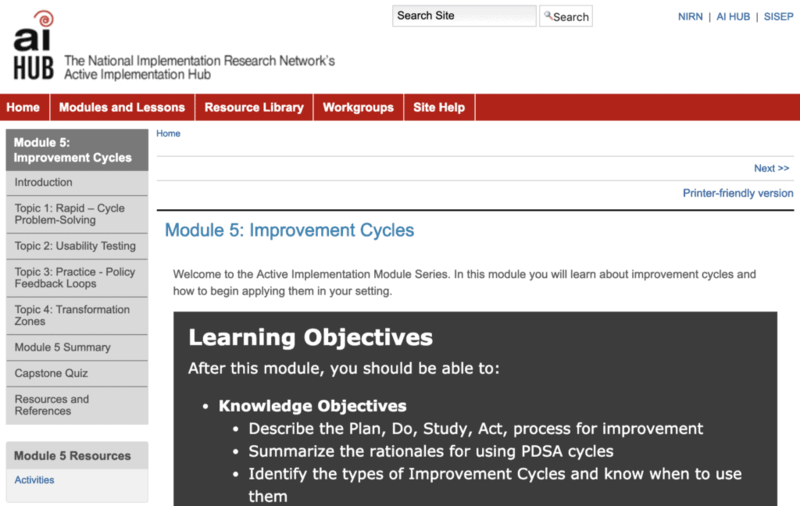 Learn about improvement cycles and how to begin applying them in your setting. 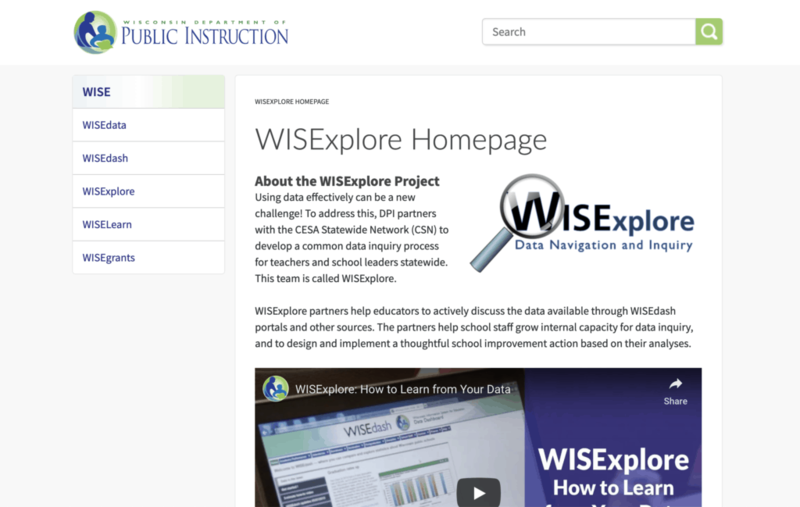 Directions on how to access reports for schools taking the SIR within your district. This companion document was developed to assist teams in bridging the language and practices found on the SIR with early childhood language and practices. 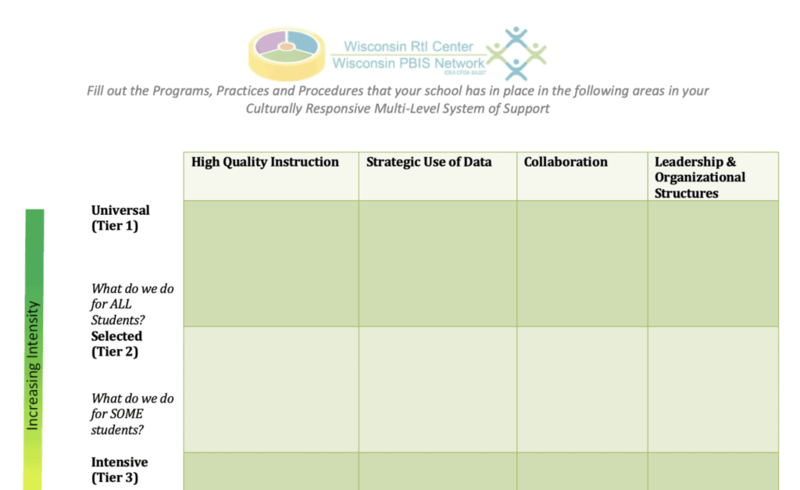 An at-a-glance overview of the programs, practices and procedures that your school has in place. A helpful planning tool for taking the SIR. 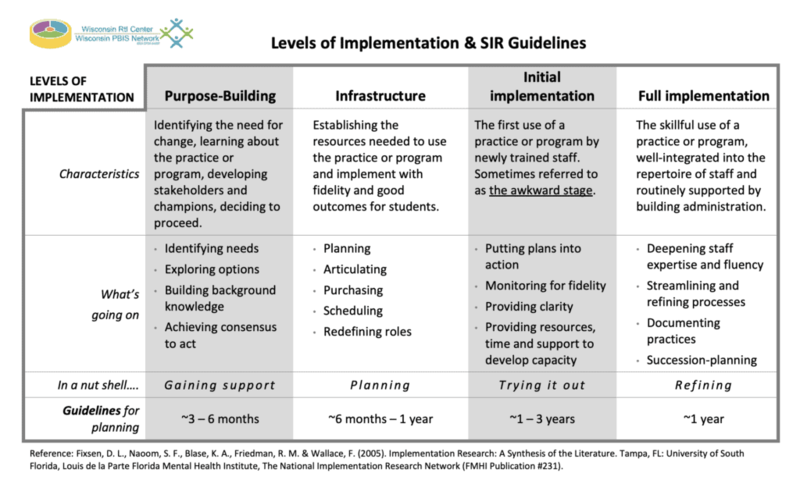 Defines the levels of implementation used in the SIR. 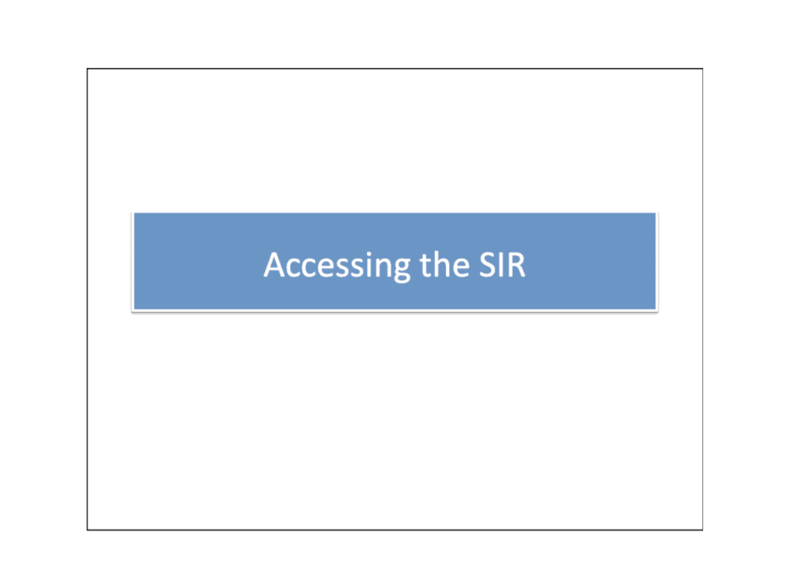 Answers to the most frequently asked questions about the SIR in one place. 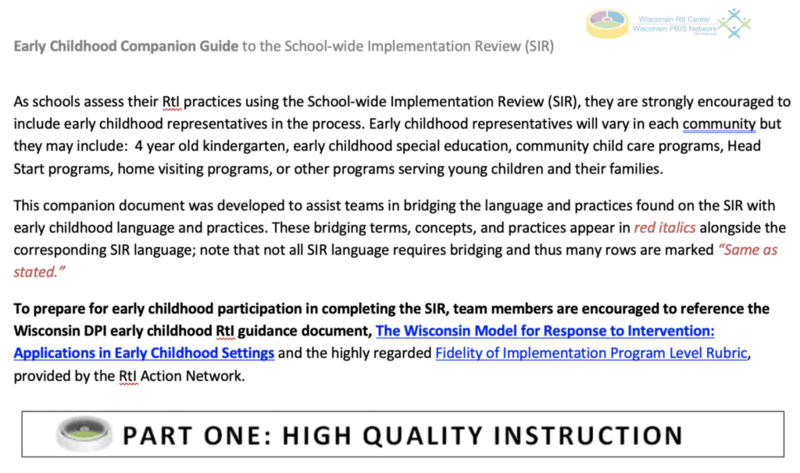 Schoolwide Implementation Review (SIR) walkthrough using screen shots to guide you. While training and action items are a great first step, schools and districts can't stop there. 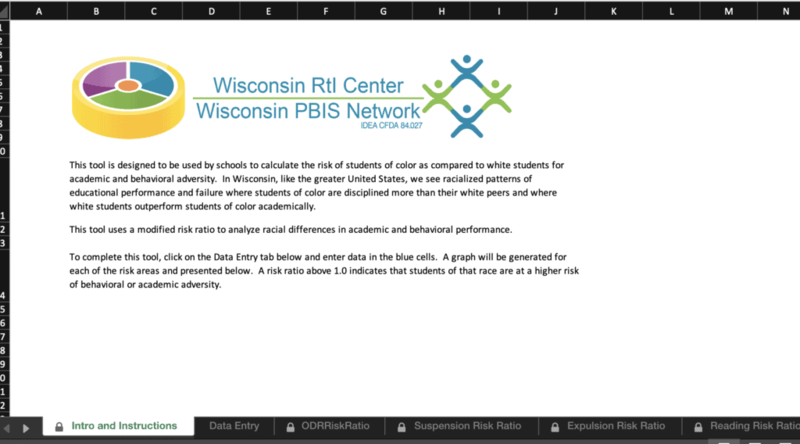 Learn more about PBIS Coordinator role. Directions for administering and reviewing SAS results. 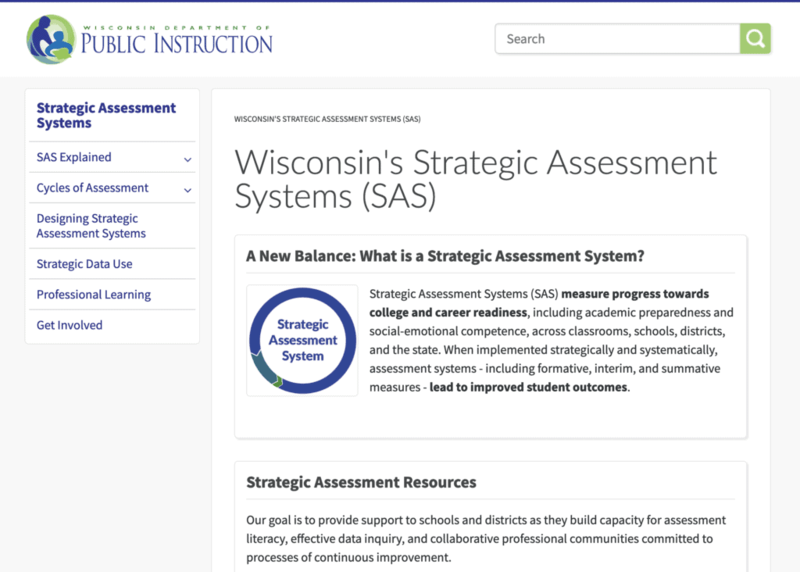 Strategic Assessment Systems (SAS) measure progress towards college and career readiness, including academic preparedness and social-emotional competence, across classrooms, schools, districts, and the state. Collecting and aggregating discipline data is vital to the PBIS process. This Excel workbook assist schools with doing that.